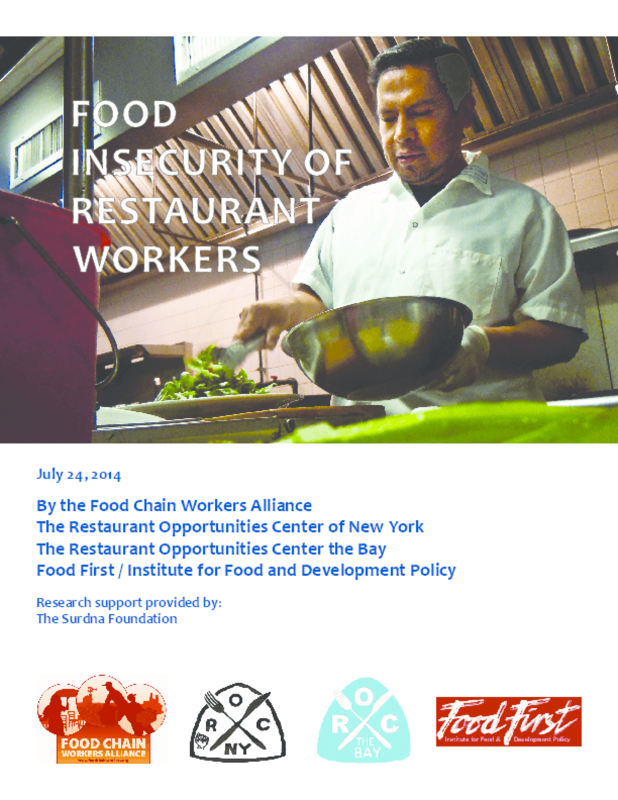 This report is the first of its kind, presenting findings on the role that employment conditions have in affecting workers' food security in the restaurant industry -- the segment of the food system that employs the greatest number of workers. This report also provides recommendations for policymakers, employers, and consumers to improve the food security of restaurant workers. It is based on surveys of 286 restaurants workers in New York City and the San Francisco Bay Area during 2011-2014. Copyright 2014 Food Chain Workers Alliance, The, Food First / Institute for Food and Development Policy, Restaurant Opportunities Center of New York, The, Restaurant Opportunities Center the Bay, The.